Pascual Pérez-Paredes completed his PhD in Applied Linguistics in 1999 after a research stay at The University of Texas at Austin and got a permanent position as Tenured lecturer in 2004 with the English Department at UM. His main interests are quantitative research of register variation, the compilation and use of language corpora and the implementation of Information and Communication Technologies in Foreign Language Teaching/Learning. He has been project coordinator of a MINERVA initiative funded by the European Commission: SACODEYL(http://www.um.es/sacodeyl); coordinator in Spain of Corpora for Content & Language Integrated Learning [BACKBONE], a LLP K2 Transversal programme, responsable for the Spanish EFL component of the Louvain International Database of Spoken English Interlanguage(UCL) and research member of the The International Corpus ofCrosslinguistic Interlanguage (TUFS, Japan). Some of his most recent publications include Researching Specilized Languages,co-edited with V. Bhatia and P. Sánchez, John Benjamins; Developing annotation solutions for online Data Driven Learning, ReCALL Journal; the co-edition of Software-aided analysis of language, with Mike Scott and P. Sánchez; or research papers on JCR-indexed journals such as System, Language, Learning and Technology or CALL, all of them dealing with the interplay of language corpora, language analysis and language education. In 2009 and 2010, he was a Research Fellow with the English Department in Northern ArizonaUniversity, developing research with Douglas Biber and Randi Reppen. Pascual Pérez-paredes is the Principal Investigator (PI) for Languages for specificpurposes, language corpora, and English linguistics applied to knowledgeengineering at UM. He is also a qualified Official Translator appointed by the Spanish Ministry of Foreign Affairs. 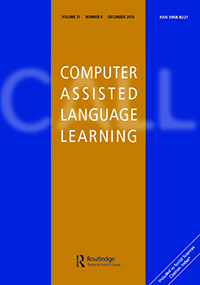 Pascual is a member of the Scientific Committee of The EUROCALL Review and have acted as a reviewer for the Journal of Second language Writing (Elsevier) and Computer Assisted Language Learning (CALL) (Taylor & Francis). 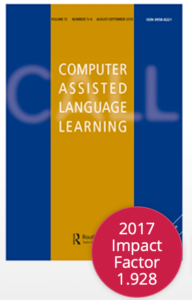 At the moment, he is co-editing a special issue for ReCALL journal (Cambridge University Press) entitled “Researching new uses of corpora for language teaching and learning”. Pascual Pérez-Paredes is an undergradute computer scientist and passionate for digital culture and computers. Pascual Pérez-Paredes is a member of Linguistics on Mendeley.